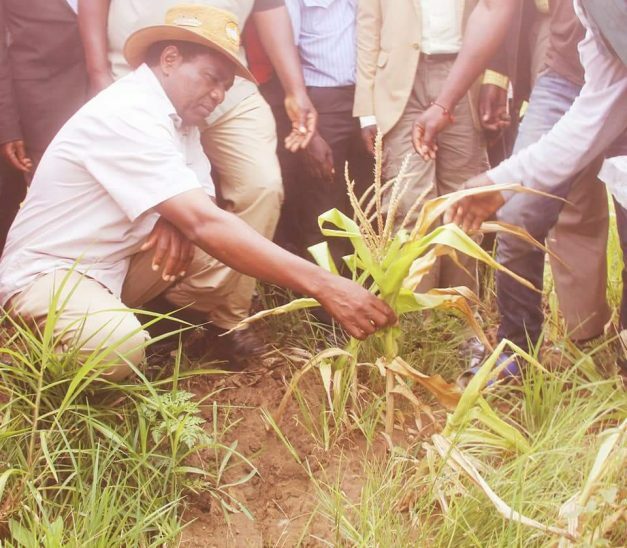 Hakainde Hichilema has called on government and Zambian citizens to take practical steps in preparing for the effects of a possible recurrence of the El Niño weather conditions for 2018 and 2019 season. The UPND leader’s call comes in the wake of a report by the World Meteorological Organisation (WMO) forecasting a 70 chance of a recurrence El Niño. Hichilema says it is important that the country is well prepared for the severe weather conditions that may affect food security in the country. “The World Meteorological Organisation (WMO) has forecast a 70 percent chances of recurrence of the El Niño weather conditions for 2018 and 2019 season,” said Hichilema in a statement today. “The purpose of such forecasts is not necessarily to scare people, but to warn World communities especially those with vulnerable and poor economies like ourselves, to brace for eventualities so that we make adequate mitigatory measures to counter the effects of the whether. The opposition leader has proposed a series of steps to be taken by both government and private citizens. “It is in view of foregoing that we would like to urge those in-charge of the national resources and the citizens at large to take practical steps in case of the recurrence of the El Niño conditions. 1. They mop up all excess and uncollected maize and other crops around the country at attractive prices to the farmers and place them as strategic reserves. 2. They must avoid at all cost the temptation of exporting maize and other crops as this may affect the strategic food security reserves. 3. We must invest in better weather monitoring technology and improve our collaboration with experts in the field in order to improve our preparedness for uncertain times. This will also advantage our farming communities and empower them with well informed decisions pro actively. 4. They need to actively and continuously engage the citizens and equip them in advance with the knowledge and consequences of such adverse weather conditions. 1. Consider stocking up enough food especially maize at household levels and only sell that which is really in excess. 2. We must consider venturing into drought resistance crops like millet, sorghum and cassava. Hichilema says it is up to the authorities to heed the warning and be proactive, although they are known for being reactive. “We all know that we have a regime that thrives in dealing in fire fighting and knee jerk measures with the ultimate purpose of benefiting through corruption.